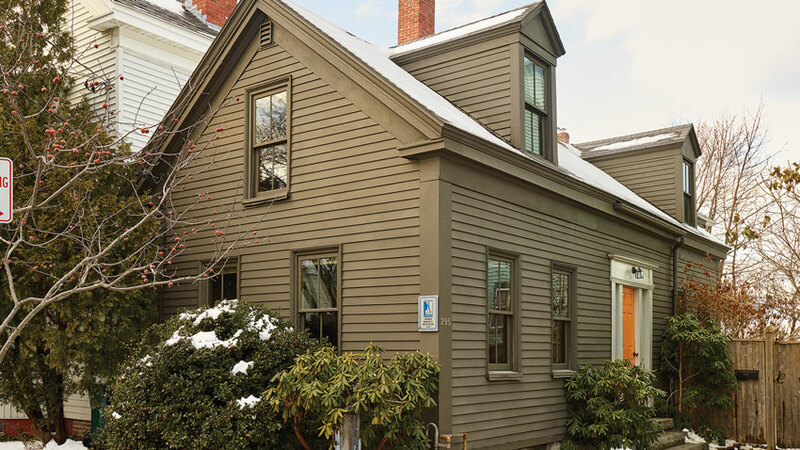 A cozy abode in Portland’s West End. Architect Chris Briley (right) enjoys a nip in his office/studio with fellow architect Phil Kaplan. The pair think of their podcast as “edu-tainment.” Photograph by Mark Fleming. 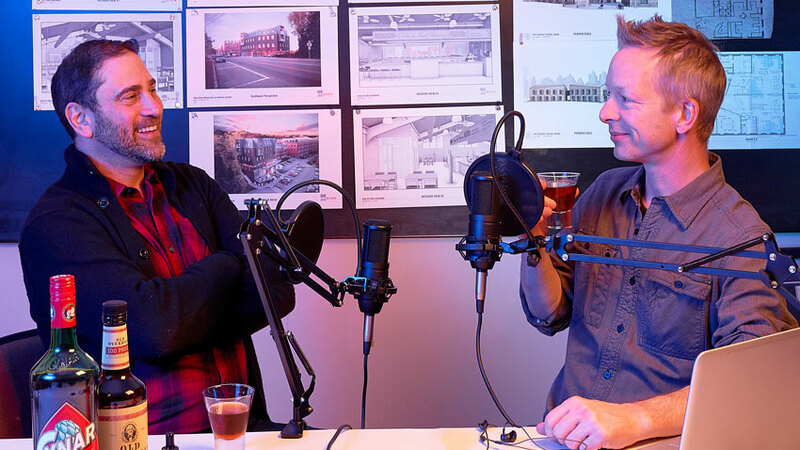 The hosts of Portland’s Green Architects’ Lounge podcast mix tasty cocktails with sustainable building lessons.